Confidentiality – All of our interactions (conversations, emails, forms, WhatsApp messages, etc) will remain strictly confidential, meaning that I will not share any information provided by you with anyone without your express consent. Non-judgmental attitude – I am not here to judge “right” or “wrong”. 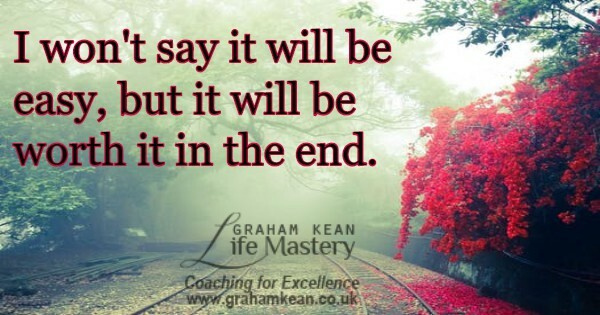 My position is to coach the “real you” to get the life you say you want. As there may be times when you will share information that may make you vulnerable, I assure you that I will treat your choices and actions (past, present or future) with respect. My coaching style – As a therapeutic coach, I am qualified to work at depth, I am highly intuitive and empathic. During your coaching journey, I will challenge you, but with love and compassion. My directive style will interrupt your ‘business as usual’ that has been holding you back. I expect you to do your best – If you aren’t doing your best, I’ll ask you to. If you are unable to at that moment, I will support you to feel heard, empowered and to get back on track. I give advice – If you’re open to it, I’ll make specific suggestions on how to handle a problem or make the most of an opportunity. I invite you to use the best of what I say and use your own judgement. I expect you to use me, not depend on me – As your coach, I am a resource and presence for you to use to your best advantage on your coaching journey. I have an almost unlimited amount of love, compassion, forgiveness and strength for you and I have at my fingertips numerous key distinctions, principles, tools, maps and models which will increase your success and add to the quality of your life. I ask that my clients use me as this resource, rather than be in a position of needing me in a dependent way. I make direct requests – You may accept the request, offer another solution, or say no. When you say something that isn’t clear to me I’ll ask you to elaborate. I don’t miss much – When I hear a strange tone in your voice, or if you say something I just don’t understand. I’ll ask you to explain. This will just be an invitation to look at something more closely; you can choose to say no. I give homework – Depending on the situation, I may give simple homework via worksheets or sometimes it may involve more time, effort, and thought, such as: come up with 3 goals or actions between this call / session and the next one. If it is too much, say so. If you want more, just ask. My clients are all very special – I enjoy each of my clients. They are all growing and on their own individual journeys of self awareness, self realisation and development. I respect that each person is different and that we are working together to enhance their personal and/or professional lives. Check out what people say about my work and begin your coaching journey with me.